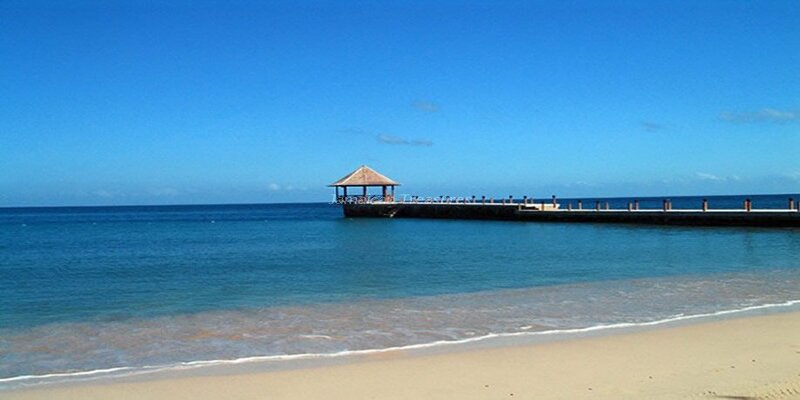 Walk to the beach in a few minutes!! 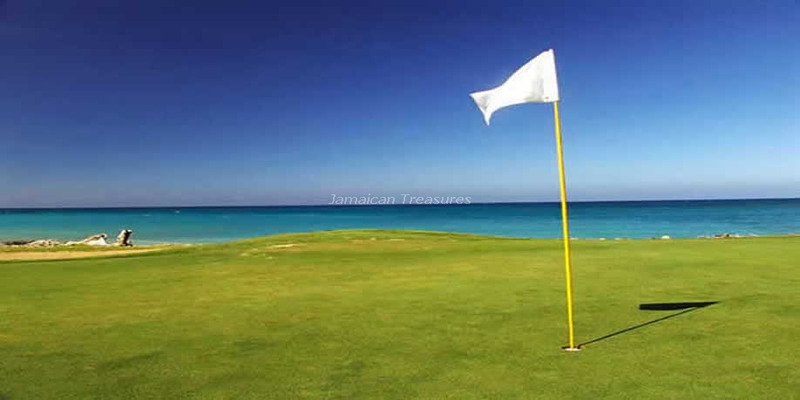 !Tryall Resort Membership. 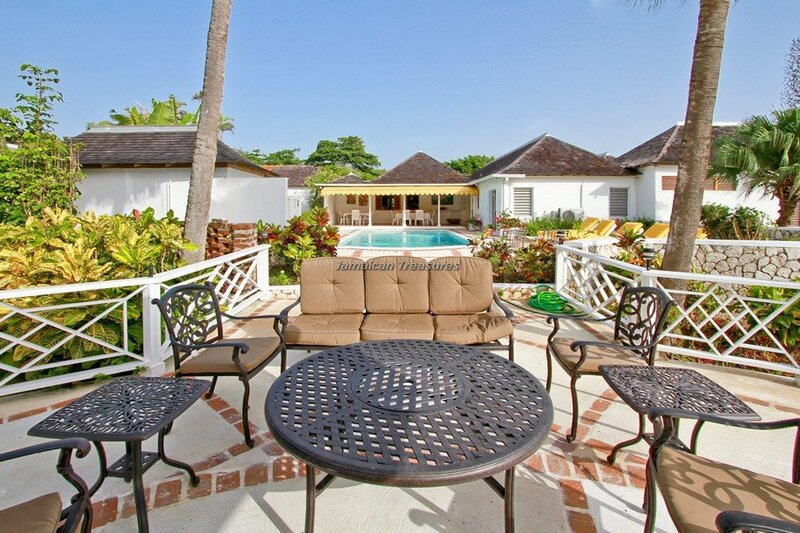 This villa can be rented as a 4 , 5 or 8 bedroom villa! 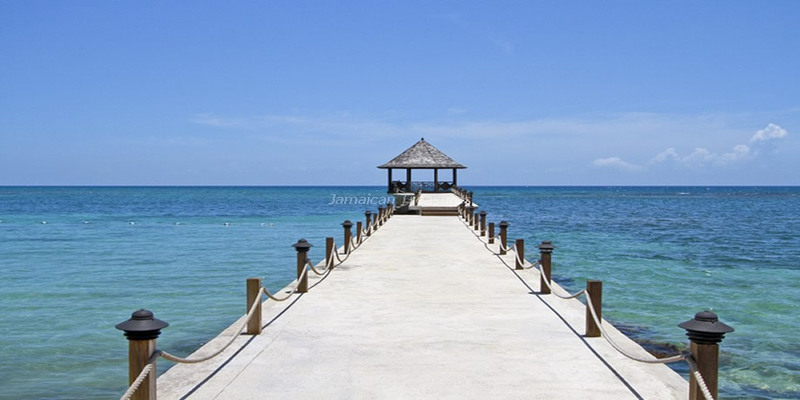 Retreat Villa in Montego Bay is one of the most charming and gracious Jamaica villas located within the renowned Tryall Club Resort. 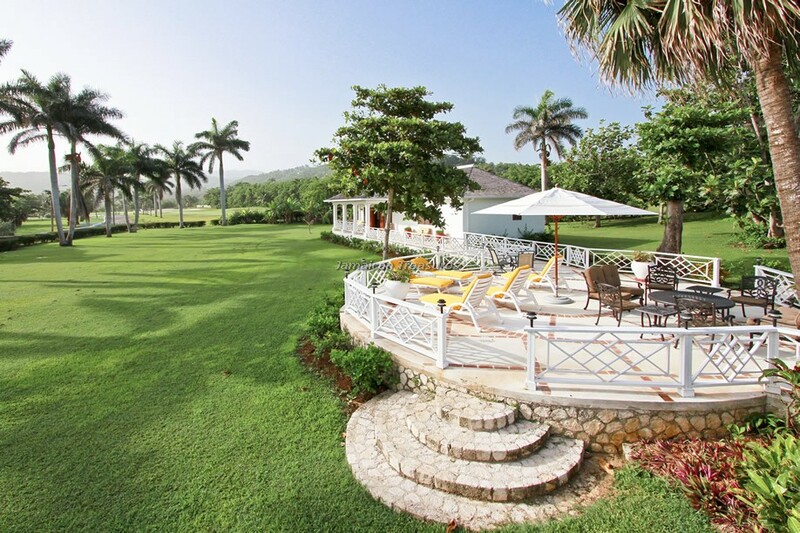 Being situated near the 18th fairway of the golf course greens, the charming villa provides picturesque views of the Tryall Golf Course and the shimmering waters of the Caribbean Sea. 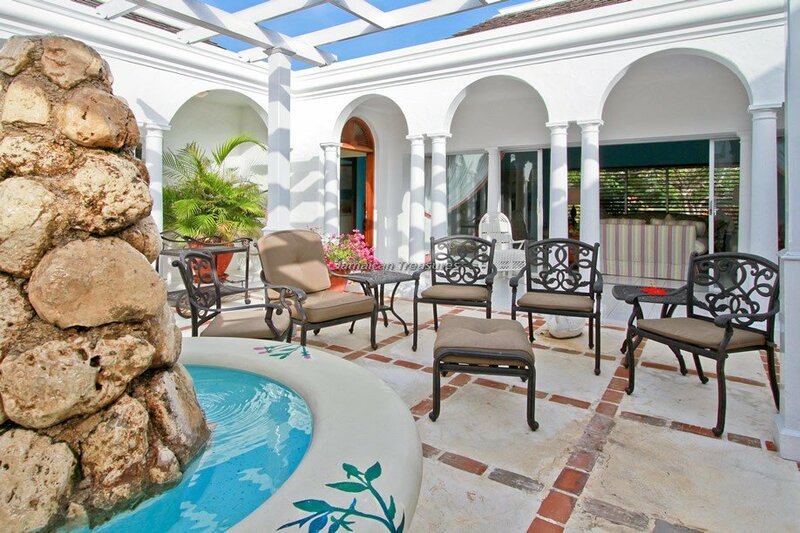 Retreat Villa’s distinctive architecture makes it very spacious and provides additional privacy. 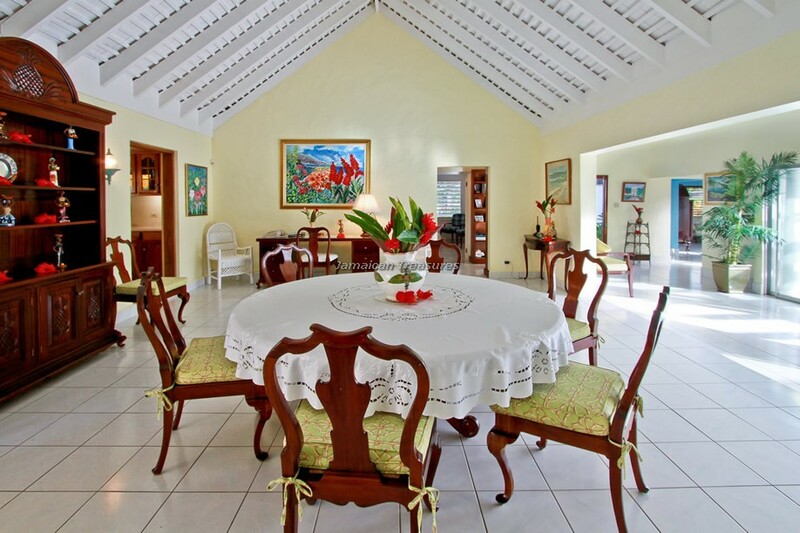 The lovely four bedroom villa and perfect honeymoon cottage has every amenity desired by vacationers. 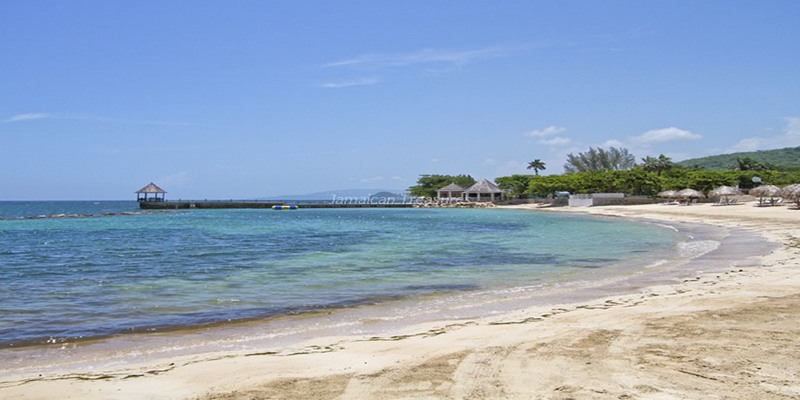 Being located within walking distance to the beach, bar and golf course makes it one of the most popular luxury villas Jamaica. 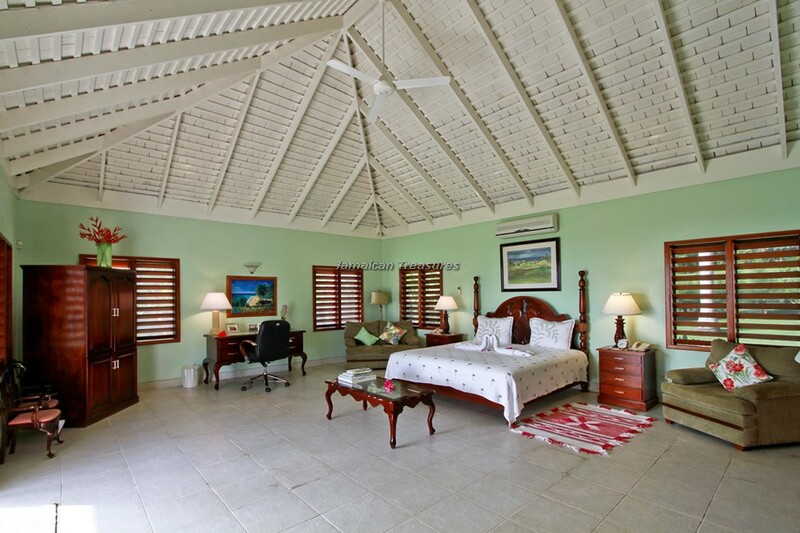 The master bedroom and two bedrooms are situated within the main villa, while the fourth one is adjacent to the swimming pool. 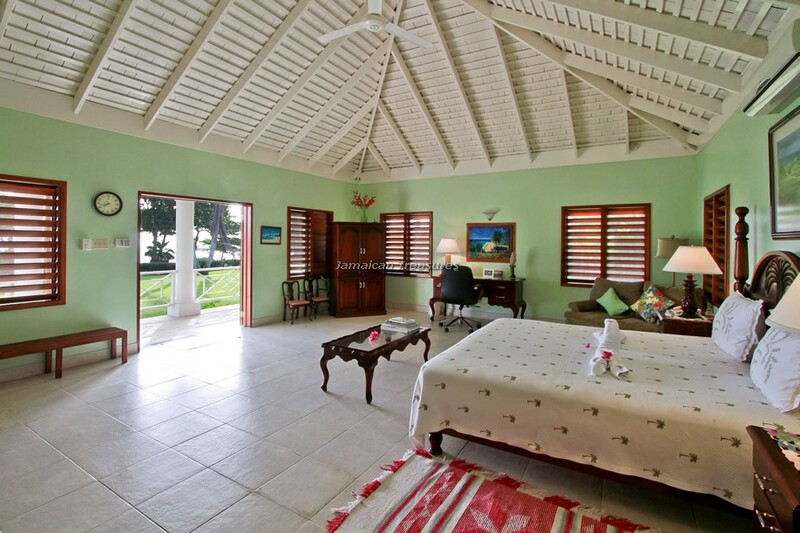 The master bedroom is furnished with a king-sized bed. 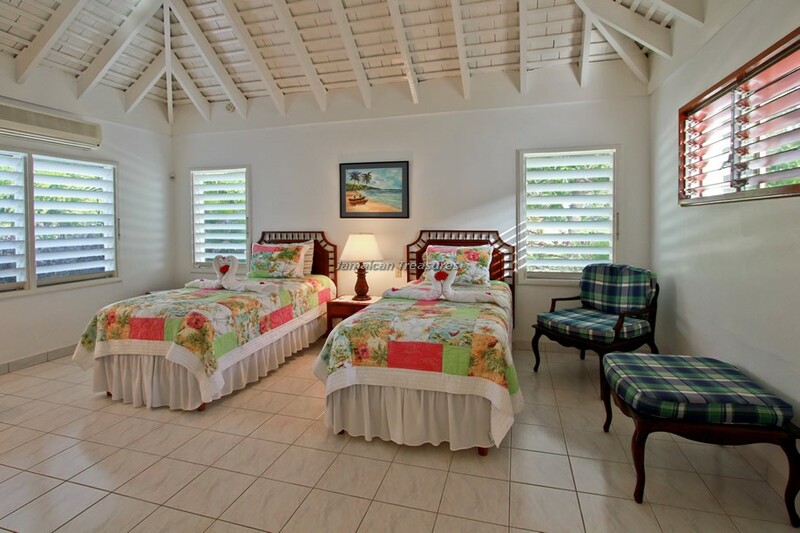 Two guest bedrooms have two twin beds each. 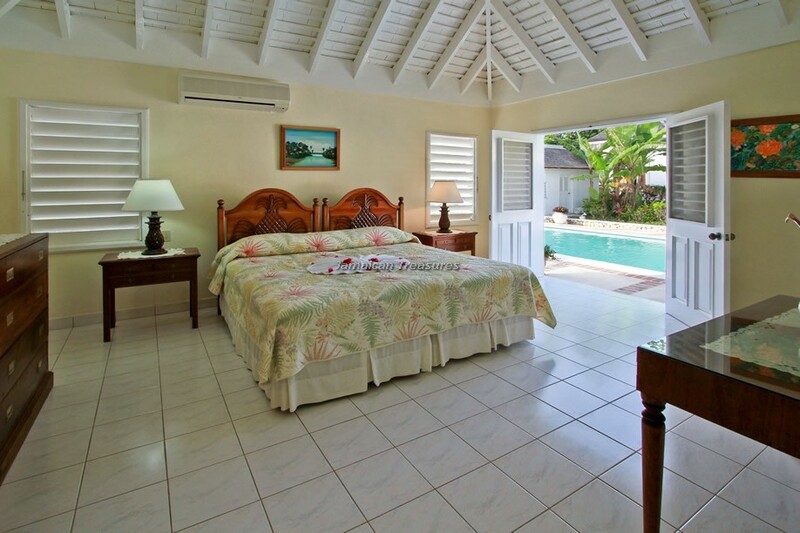 The bedroom in the lovely honeymoon cottage is equipped with a king-sized bed. 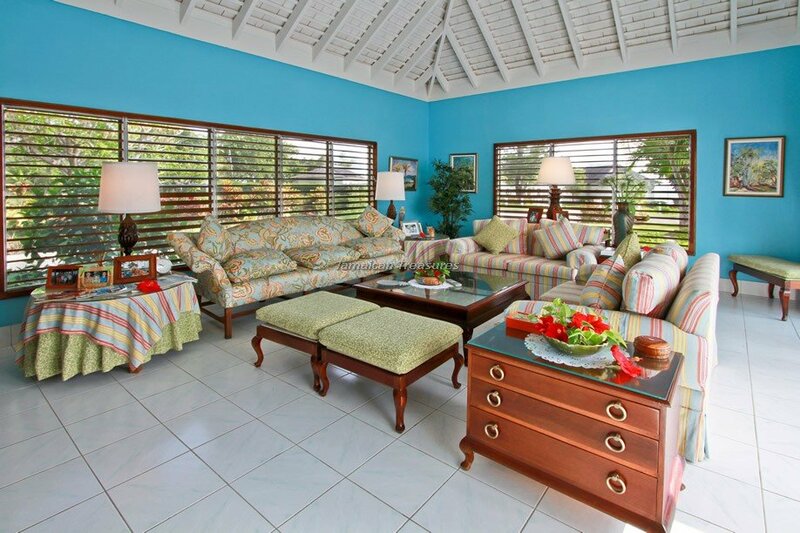 The cottage has its own sitting room with a television and a wet bar close by the pool. 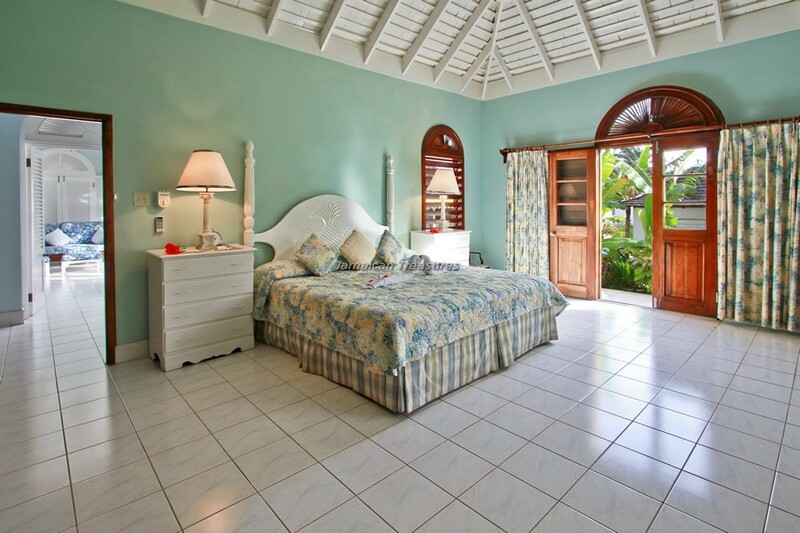 The owner’s master bedroom is available only if the villa is rented as a five bedroom villa. This bedroom is in a separate cottage that faces the sparkling sea. 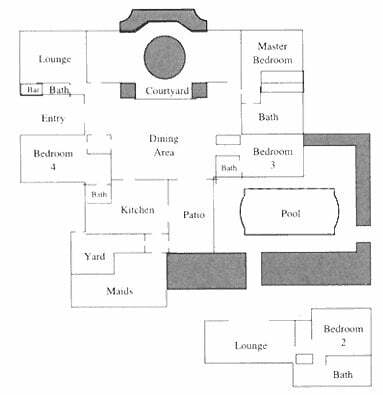 Facilities include a king-sized bed, oversized tub, bidet and wet bar. 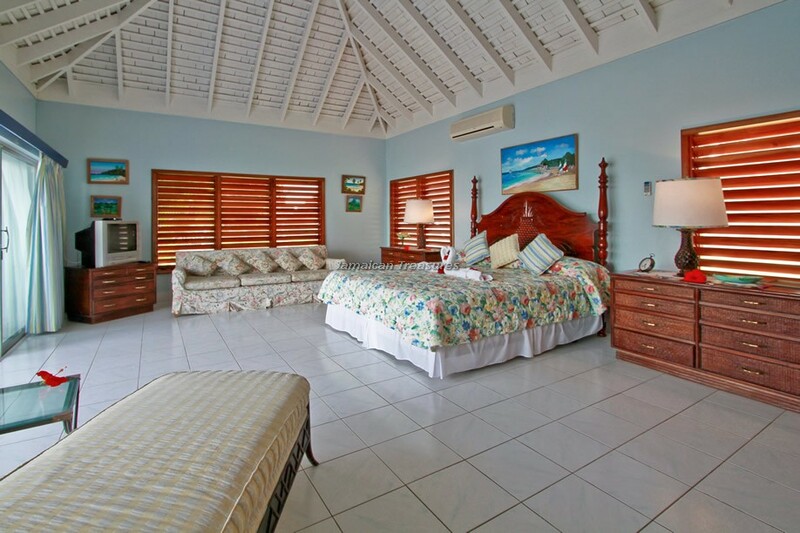 All bedrooms have ceiling fans, air conditioning and en suite bathrooms. 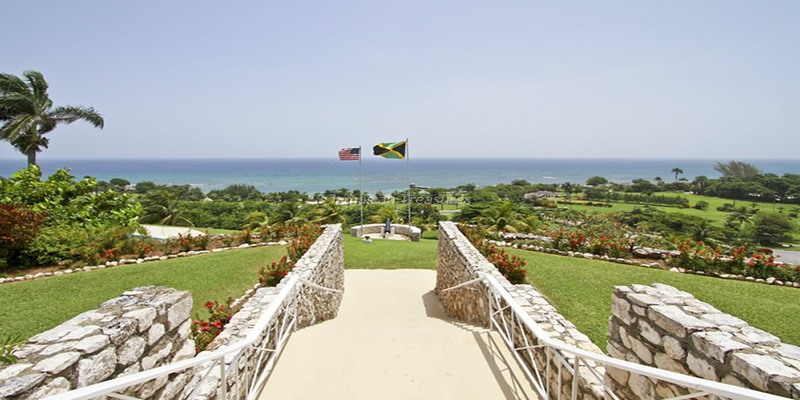 The unique bedroom placement makes Retreat Villa unique among villas in Jamaica. 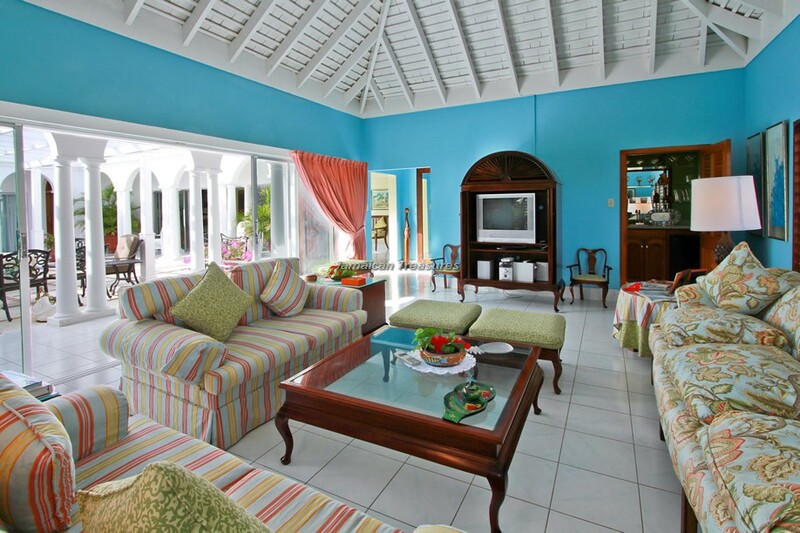 The living room in Retreat Villa features a complete entertainment center with cable television, stereo system, CD player and wet bar. 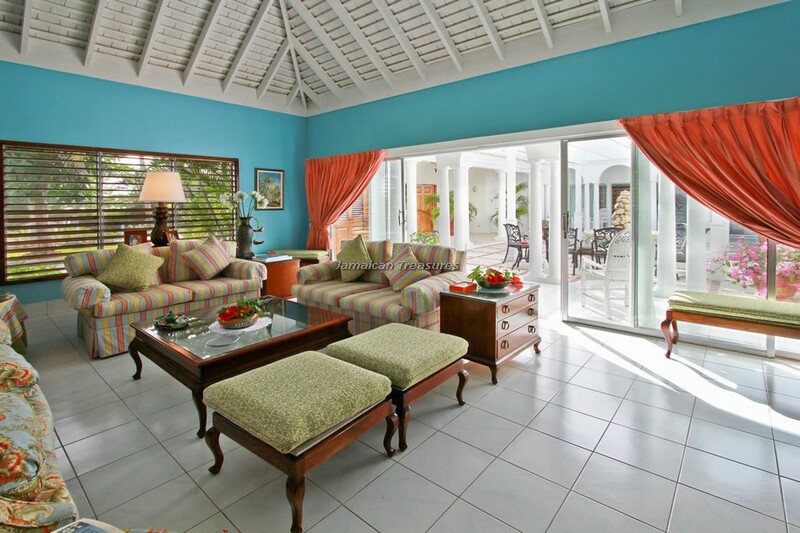 Guests spend precious moments with family and friends while relaxing and enjoying in the comfortable environment. 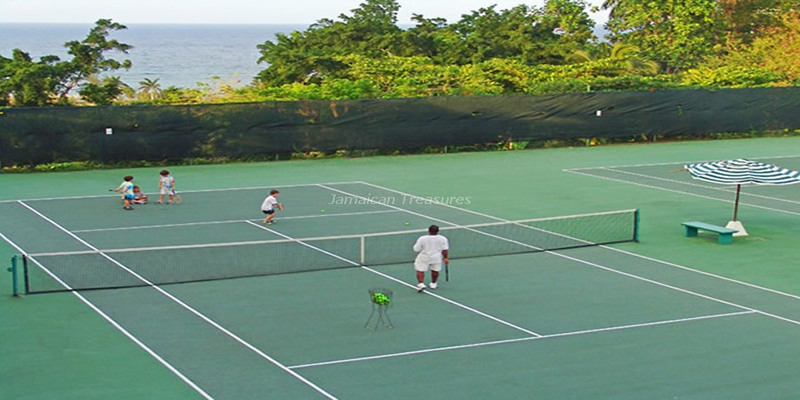 Wireless broadband internet facility is available all through the villa. 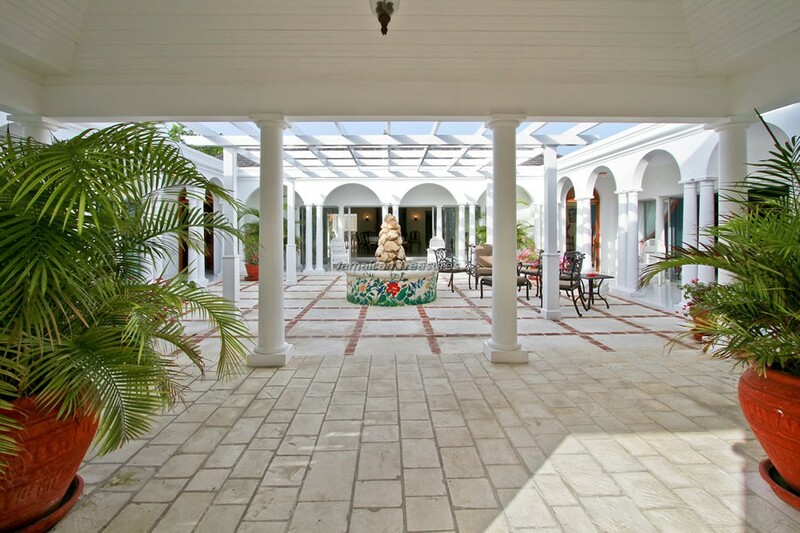 The indoor dining room faces a lovely courtyard, while the outdoor dining area looks over the pool and the picturesque setting beyond. 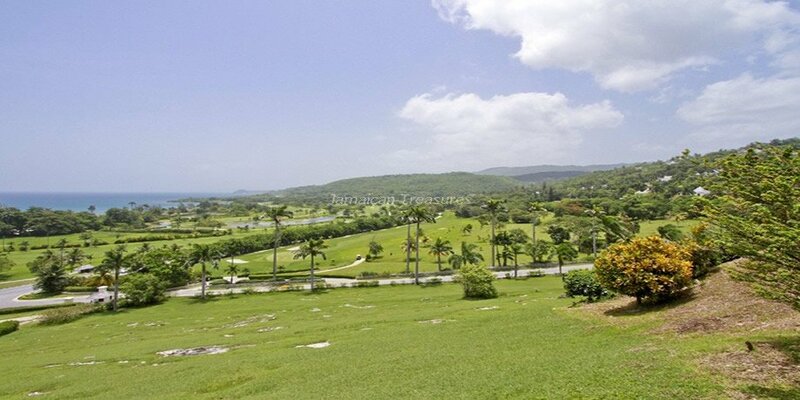 Guests at Retreat Villa have a complimentary golf cart at their disposal. 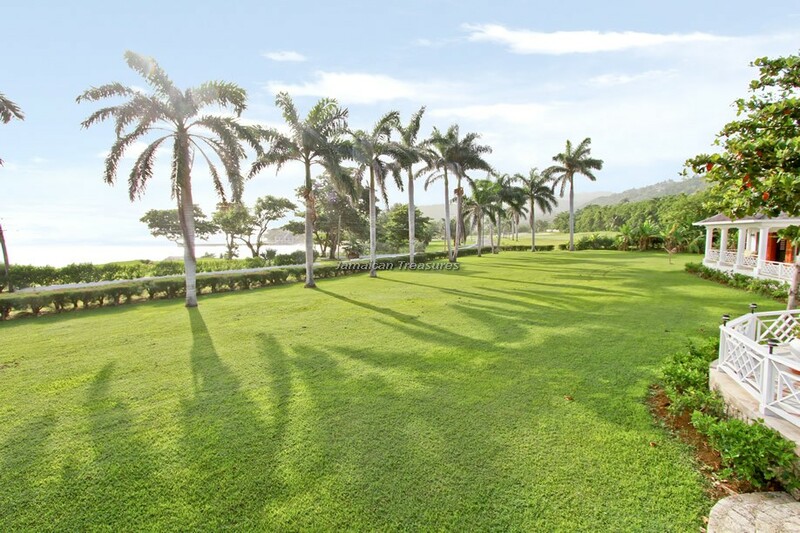 The beach is only two-minutes away via golf cart. 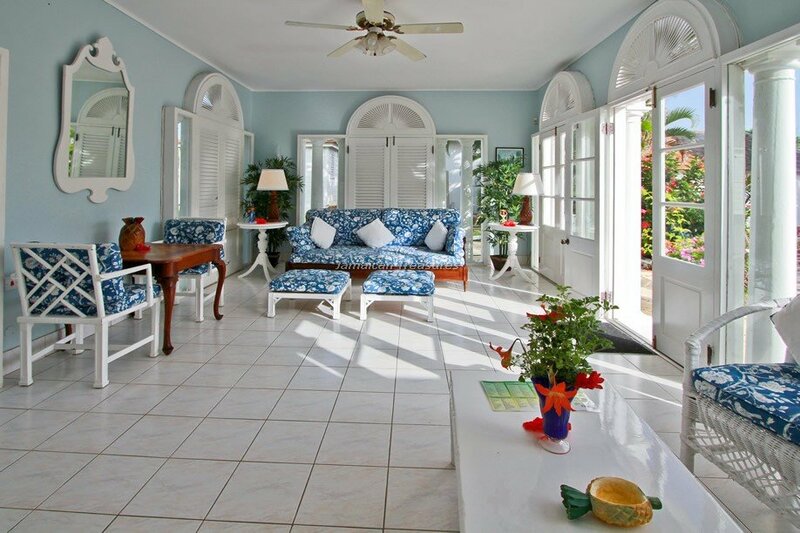 The villa’s private staff includes a cook, laundress, housekeeper and gardener. The airport is at a twenty minute drive. 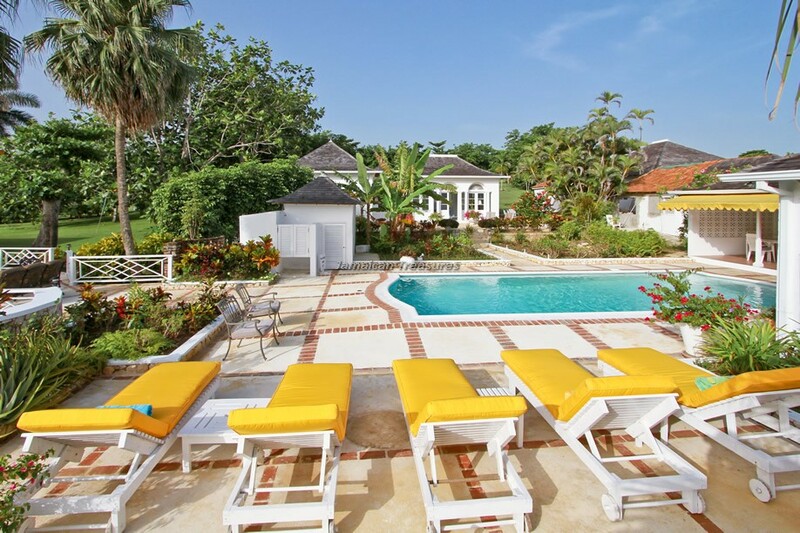 The numerous facilities, a luxuriant ambience, beautiful location, sophisticated décor, extensive gardens and proximity to Tryall Resort, make Retreat Villa one of the most exclusive villas rentals in Jamaica. 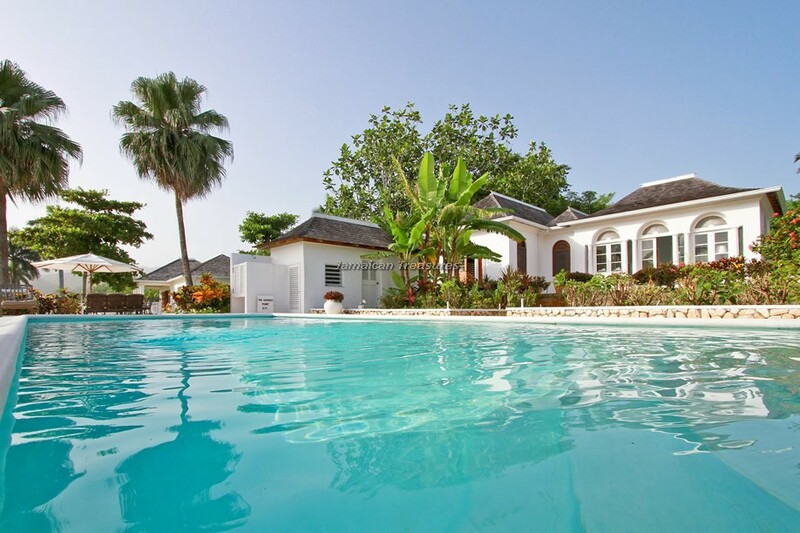 The charming three-bedroom villa located across the lane, Reveille, can be rented for additional space by large groups. 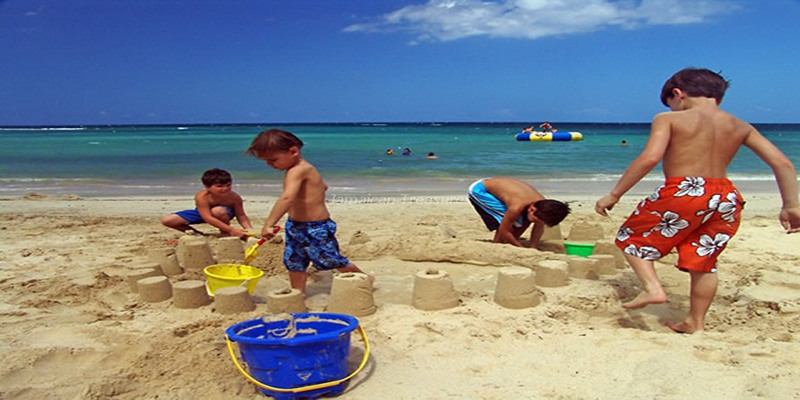 It has its own pool and the three bedrooms are furnished with king-sized or twin beds. 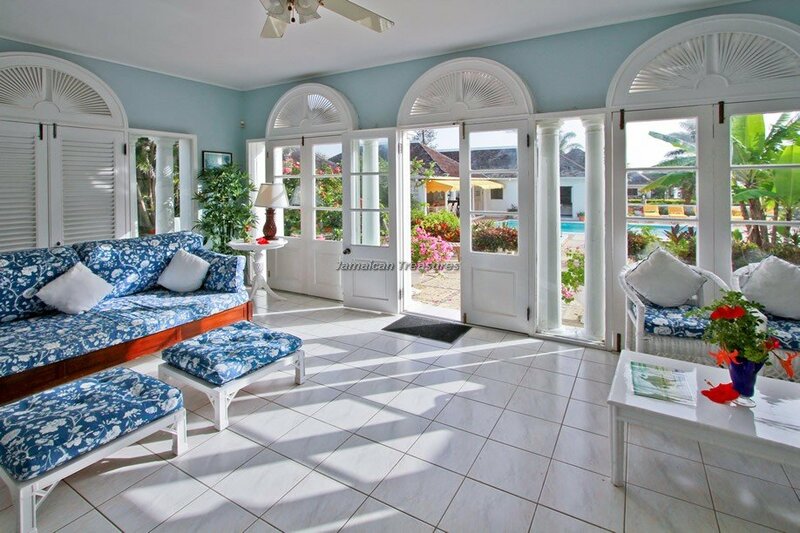 The recently renovated villa can also be rented independently. 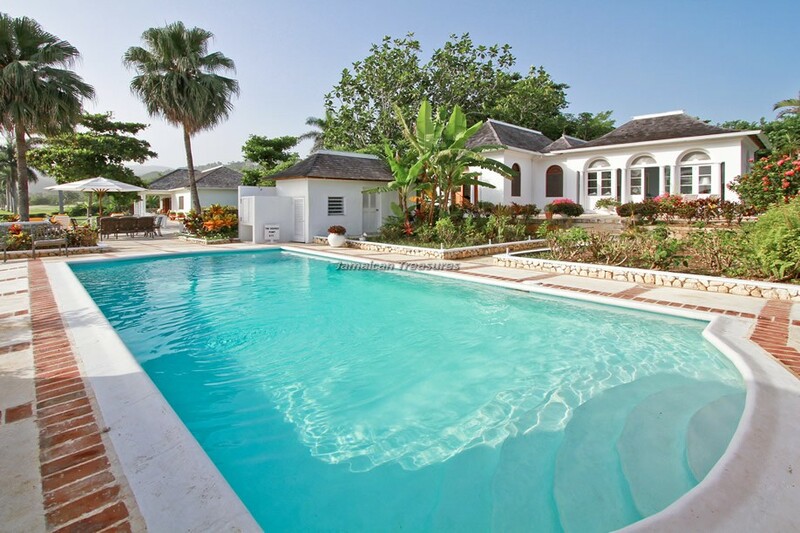 Together, both villas provide eight bedrooms. Bedroom2: 2 twin beds that can be pushed together to make a king bed if required. Bedroom 3: 2 twin beds that can be pushed together to make a king bed if required.